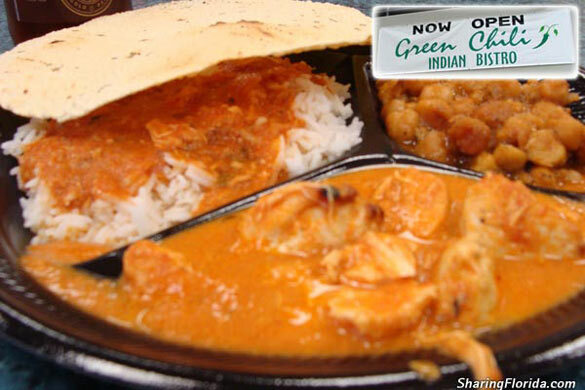 Photos, map and menu for Green Chili Indian Bistro located in Downtown St. Petersburg, Florida. Located about 1 mile from Tropicana Field. Photos include the food, the inside and outside of Green Chili Restaurant. 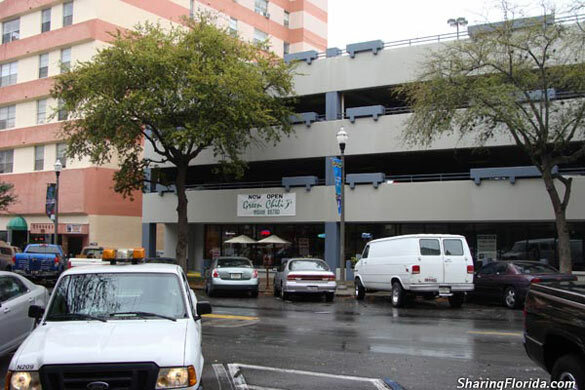 Located on Central Ave. between 3rd and 4th street Downtown St. Petersburg, Florida. Serves the Indian basics – Curry, Indian bread (Naan, etc. ), Basmati Rice. Pictured here is the Combo #1 with Chic peas, and Butter Chicken with Basmati Rice and crunchy Indian Bread (Papad). Recommended! 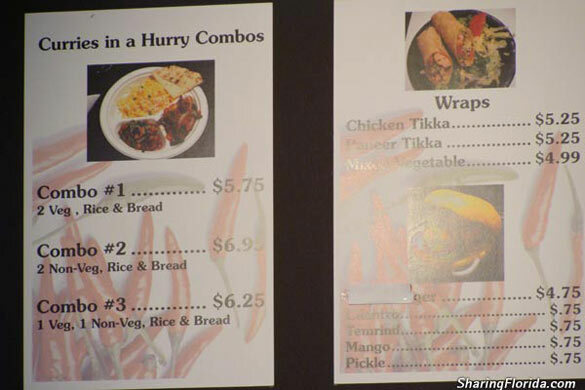 – See the map, address, and photo of the Green Chili menu with prices. The food quality and prices are decent, all quite flavorful. There were about 10 different Indian foods to choose from, as well as Chai and Coffee, Mango drinks, and Coke products. There could have been a larger selection of foods, but what that had was really good.